Gratitude can change our lives. It has the power to free us from so much, but an unthankful heart can also bring trouble. Spend 5 days focused on the condition of your heart and be blessed for your new perspective on life. 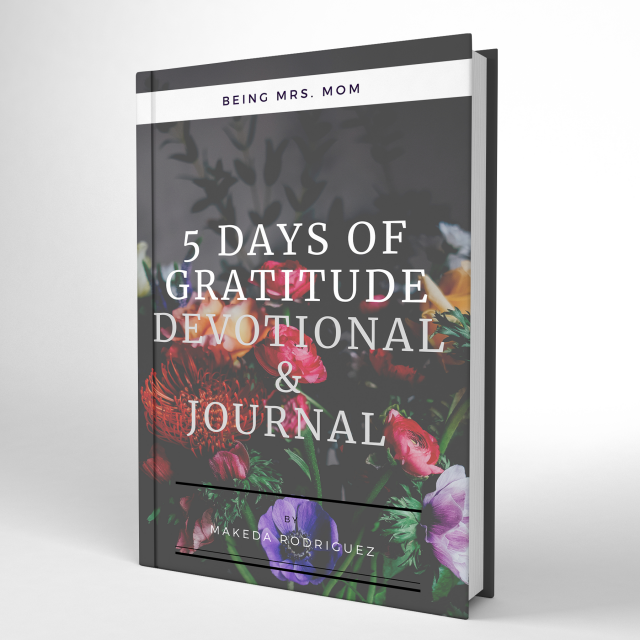 This printable devotional and journal gives you the opportunity to focus your thought, emotions, and actions on being thankful. It is packed with such great information. It blessed me to write it and I know that it will bless you to interact with it. Although it is a 5 day devotional, it is 44 pages of devotion that will send you on a biblical journey of checking your heart and your perspective, so don’t wait.